Not what we want to see this close to Christmas - but a great example of what a legitimate variation to contract can look like.. this external wall is completely rotted out from about half way down. The cause of this was a combination of poor building material choices and poor workmanship by the original builder. Using “wet area” gyprock to line walls around a bath is something we would not recommend - especially in cases such as this when you have a shower over it!!.. 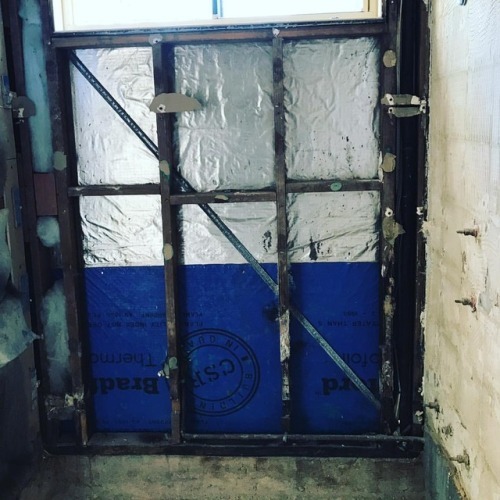 though the minimal installation of waterproofing membrane is ultimately what shortened the life of these bathrooms - thanks to our carpenter this project is on track for completion.. better than new!